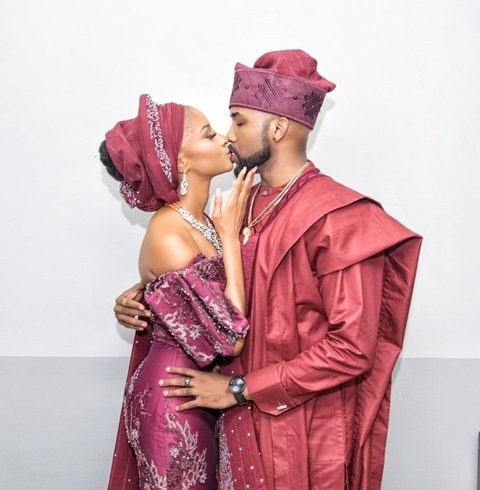 One of Nigeria's most anticipated celebrity wedding is finally coming to pass in a few weeks as new reports have revealed details of the high-profile marriage. Nigerian R&B singer, Olubankole Wellington a.k.a Banky W, and Nollywood Actress, Adesua Etomi, are set to become husband and wife as the details of their traditional marriage ceremony have emerged online. "LIB has exclusively gathered that the traditional wedding ceremony between RnB singer/actor BankyW and his fiancée, actress Adesua Etomi will hold in Lagos, Nigeria on November 19th, 2017...and it is strictly by invitation! "Guests invited have been sent details on how they can purchase Aso-Ebi for the day and access cards will be given for entrance into the private event."